I try to be a good, overachieving crafty-homemade mom. I really do. But there are just some "good mom" things I can't do...the big one has to do with cakes. For a long time it was pies, but now...my arch nemesis has become the cake. Full disclosure: I don't bake cakes any more. The kids all prefer Leelee's anyway. Why bother. Last year was my epic cake pop flop. And it looks like if you google cake pop flops, mine was so bad...it's on the first page of google search results. That means a heck of a lot of you enjoyed commiserated my foray into cake pop making. 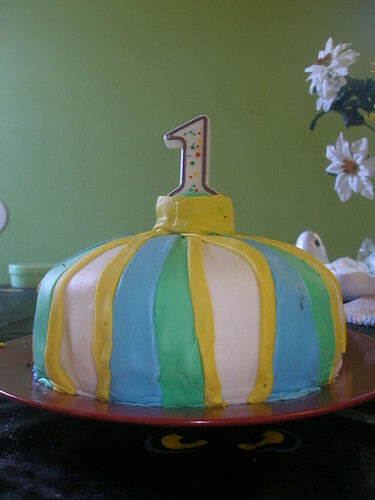 When Punky Brewster turned one...I attempted fondant. Marshmallow fondant. Homemade. Because I was actually still trying to be supermom. Except it was so thick, my one year old couldn't even rip it apart. When it comes to making a cake look pretty, I just need to forget it. Or stick to something like my Earthquake cake. But no, I still try to don my mama super cape and make a fantastically decorated birthday cake. B turned 12 and wanted a Minecraft themed party. At this age, it really just consisted of a group of friends over to play computer games and eat food. The hulk-like should have been a warning to just step away from the cake activities for the day. Leelee couldn't contain her laughter. She snapped a picture and texted it to a friend. Her friend was far nicer and said it was a very Van Gogh inspired. Yeah...I think I'll go with that. My 12 year old wanted a Van Gogh inspired Creeper cake. Because he's so cultured...had nothing to do with my complete lack of talent. A for effort! At least you tried to make it! I personally love it! Oh, my...I've had my share of cake disasters too. Haven't we all? I have always tried to do a themed cake (within my abilities...never tried fondant) I made a "monster truck" cake that completely cracked in half before the guests arrived. My only response to them was that it tried to go over a boulder and crashed. 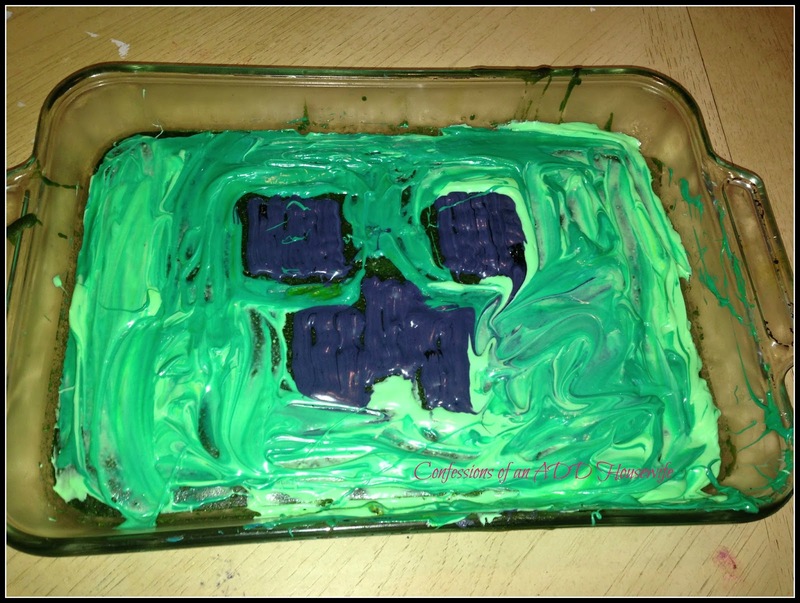 So, I think the fact that your creeper cake is Van Gogh-inspired is perfect. I may have to take your idea for my soon-to-be 12 year old's birthday. By the way, I'm sure your kiddos appreciate the effort you've gone through to make their birthday's special. Thanks for linking up to our All Things Thursday Blog Hop. Hope your week is awesome! oh my, at least you are candid- perhaps store bought? I see my future here. My youngest has requested Minecraft cupcakes for her class. I don't even know where to start, except for the color green. Thanks for the giggle. You are too funny! At least you keep trying! How do they taste though? As long as they taste alright, should be good. Right? oh my gosh, that is funny! I love that you have the guts to post your failures. I've posted some of my own....a Patrick cake from Spongebob....and an elf for something...amongst others. We have to stick together! I did a beehive cake once and was SO PROUD. Years later I ran across the picture and was like....wtf?